2018 Subaru STI – Vehicle Spotlight. Many enthusiasts feel the 2018 STi and WRX look too similar, but who cares really? Don’t you buy an STi for the added power anyways? As usual the most noticeable changes to the 2018 models come from under the hood! Regarding the STi: An upgraded drilled brake system, a modified suspension system, and revised DCCD system have been made to the 2018 model. The new DCCD system used to use a mechanical and electronic center limited-slip differential control. Now it uses electronic control for smoother and quicker response. 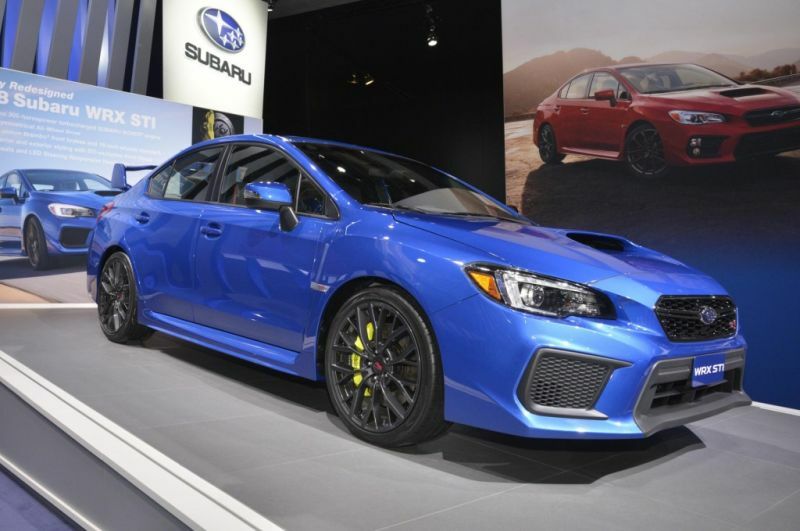 The STi has the option for Recardo seats and they may be necessary since the 2018 model pushes 305 horsepower from the usual 2.5L turbocharged BOXER engine. Other modifications include a cabin that has been tightened for a quieter ride, faster remote for the trunk opening feature, redesigned interior features such as door grips and other interior materials, an available 7.0″ Subaru STARLINK multimedia unit, and a new 5.9″ HD display that comes standard. Few changes have been made to the STI that include a more aggressive lower front grill. All STi models will come equipped with turning LED lights and 19 inch wheels for the first time. The moon roof has been removed to decrease curb weight which most enthusiasts will appreciate as well.